Description Entirely composed of natural mineral materials, EE-SERIES is an environment-friendly and rotor-friendly pad formulation. EE creates its own extraordinary performance and equal to OE standard. Suitable for all kinds of vehicles. Stable μ, Not Easily Affected By Temperature, Moisture, and Driving Speed. Less Transmission of Heat & High Resistance to Fade. 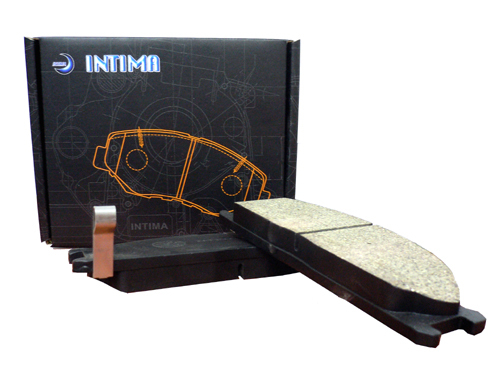 Ultra-Quiet, Positive and Smooth Braking Performance. Rotor-Friendly Character Leads to longer Life of Pad & Rotor. Low-Dusting for Cleaner Wheels and Tires. High Thermal Stability, To Disc Temperatures of 400℃. Safe/Quality Approvals AMECA CERTIFICATE FROM AMERICAN LINK TESTING LAB.